Prostate Cancer Foundation (PCF), a nonprofit organization founded by Michael Milken dedicated to identifying and funding groundbreaking cancer research programs, recently hosted the 2017 New York Dinner at Cipriani 42nd Street New York. 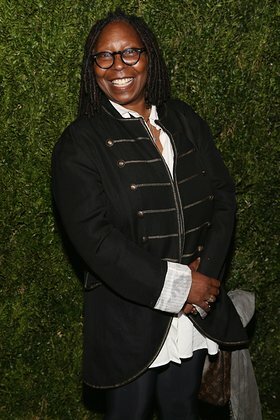 Legendary actress, comedian, and television host Whoopi Goldberg served as guest host for the event. The evening concluded with a stunning performance by Grammy and Academy Award-winning singer Jennifer Hudson. Proceeds from the event, which raised $18 million, will support the partnership between PCF and the Department of Veterans Affairs (VA) to provide precision oncology to all veterans by establishing eleven centers of excellence. By providing access to their more than 9 million patient records, PCF researchers will be able to discover new and better treatments that will impact all prostate cancer patients. The evening was the organization’s second largest fundraising night. 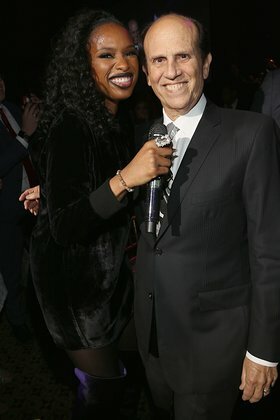 Notable attendees included: Michael and Lori Milken, Whoopi Goldberg, Jennifer Hudson, Laurie and Peter Grauer, Alex Rodriguez, Jennifer Lopez, Dr. David Shulkin, Julia and David Koch, Spencer Segura, Candace Bushnell, Jim Coleman, Debra and Leon Black, Seth Bernstein, Nina Grauer, Plum and Dr. Jonathan Simons, Andrew von Eschenbach, Toni and Dr. Stuart Holden, Tina Storper, Larry Leeds, Bonnie Pfeifer Evans, Kristen and David Steinberg, Mitchell Modell, Maria and Kenneth Fishel, Debbie and Cliff Robbins, Camille and Larry Ruvo, and Tammy and Keith Frankel. The evening kicked off with Michael Milken and guest host Whoopi Goldberg outlining the evening’s three themes: Women in Science, Big Data, and Family. (“What do you think of Big Data?” asked Milken. “I don’t know, maybe I should spend some time with him,” quipped Goldberg). After a beautiful rendition of the national anthem sung by army veteran Constance Campbell, guests learned about the ways PCF supports young female researchers through the PCF Young Investigator program. The Big Data portion of the evening included a speech by Dr. David Shulkin, Secretary of Veteran Affairs, who was presented by Dr. Jonathan Simons, PCF President and CEO. Dr. Shulkin spoke on the VA’s commitment to transformation and modernization, including aggressively attacking prostate cancer, the most common form of cancer among veterans. The theme of Family was exemplified by the night’s honorees, Peter and Laurie Grauer, who were recognized for their commitment to cancer research and dedication to increasing the number of women in leadership positions, both in science and beyond. The evening concluded with a rousing performance by Grammy and Academy Award-winning singer Jennifer Hudson, who sang hit songs including “Love You I Do,” “Spotlight,” “And I am Telling You,” and a Whitney Houston medley that got the crowd to their feet. Live auctions for the evening included the Home Run Challenge, a national baseball tour with Michael Milken in his private plane, and the Party Like A Rockstar package, including four tickets to the Billboard Music Awards, access to the event’s rehearsal and after party, and a two-night stay at the Wynn Las Vegas. Silent auction items and events included Coachella 2018 as a guest of Beyonce; two tickets to the Super Bowl; accessories by Christian Louboutin and Louis Vuitton; dinner with George Clooney and more. Throughout the evening, military veteran guests in the audience were recognized. Additionally, seven of the organization’s VA Network Centers of Excellence received funding through the generous donations of attendees. 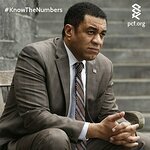 AllianceBernstein CEO Seth Bernstein’s table, which included guests Jennifer Lopez and Alex Rodriguez, donated a total of $1 million to the PCF Young Investigator program. PCF’s Board of Directors includes business leaders such as Andrew J. Astrachan, James Blair, Steve Burd, Peter Grauer, David H. Koch, Honorable Earle Mack, Neil Rodin, Andrew von Eschenbach, MD; Drew Pinsky, MD; and radio and television host Clark Howard.